You can’t put SSDs on the Raspberry Pi 3, but a competitive board coming soon will have that option. The new MinnowMax Turbot Dual-E board will have an m.2 slot in which SSDs can be inserted. It’s being made by ADI Engineering and will be released in the third quarter, according to a message on Twitter. The board’s price wasn’t immediately available. High-capacity SSD chips up to 512GB can be found on sites like NewEgg. But the MinnowMax board’s SSD storage capacity will ultimately depend on the device’s hardware specifications. 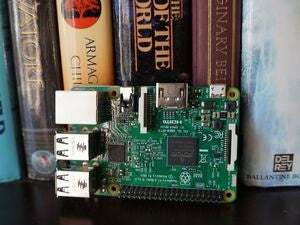 Storage can be a headache on boards like Raspberry Pi 3. A majority of boards have SD card slots, and only external drives can be attached. That limits their portability. A lot of data is generated especially by devices with cameras, like drones and surveillance systems. SSDs could provide the high-capacity storage to hold data locally. The MinnowMax Turbot Dual-E will have Intel’s dual-core Atom E3826 running at 1.46GHz or quad-core Atom E3845 running at 1.91GHz. A Wi-Fi chip can be slotted into the m.2 slot. These chips are mainly targeted at developers of embedded devices, allowing boards to be used in a variety of gadgets, smart home devices, robots, drones and industrial Internet of Things devices. The first MinnowBoard was introduced as Intel’s first open-source PC in 2013. ADI Engineering took the MinnowBoard schematics and started making its own variants. ADI already sells a MinnowBoard Turbot that doesn’t have a slot for SSDs. The new developer board will have integrated graphics, 2GB of DDR3 memory, an HDMI port, two ethernet ports and a micro-SD slot. It will also have a USB 2.0 port and a USB 3.0 port, both of which can be hosts for port expansion. The new developer board will support Linux, and might also be able to run Windows 10 IoT Core. The older MinnowBoard Max, with an Atom E3826 CPU, already supports Windows 10 IoT Core, so the new board already meets some basic requirements to support the OS.